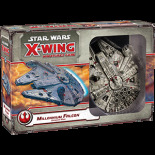 The Millenium Falcon, famous for performing the Kessel run in 12 Parsecs; or at least that is what her Captain will tell you. A heavily modified Corellian YT-1300, this is no ordinary ship. 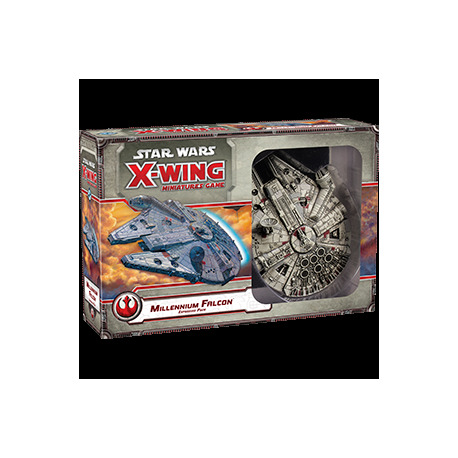 The Millenum Falcon is equipped with deflector shields that can withstand a swarm of T.I.E Fighters. Armed with two sets of Quad laser cannons to fight off pirates and a complement of missiles for the more stubborn enemy. Finally a custom built Hyperdrive able to go point five beyond light speed. She may not look like much, but she has got it where it counts. - 1 Exquisitely detailed Millenium Falcon Model. 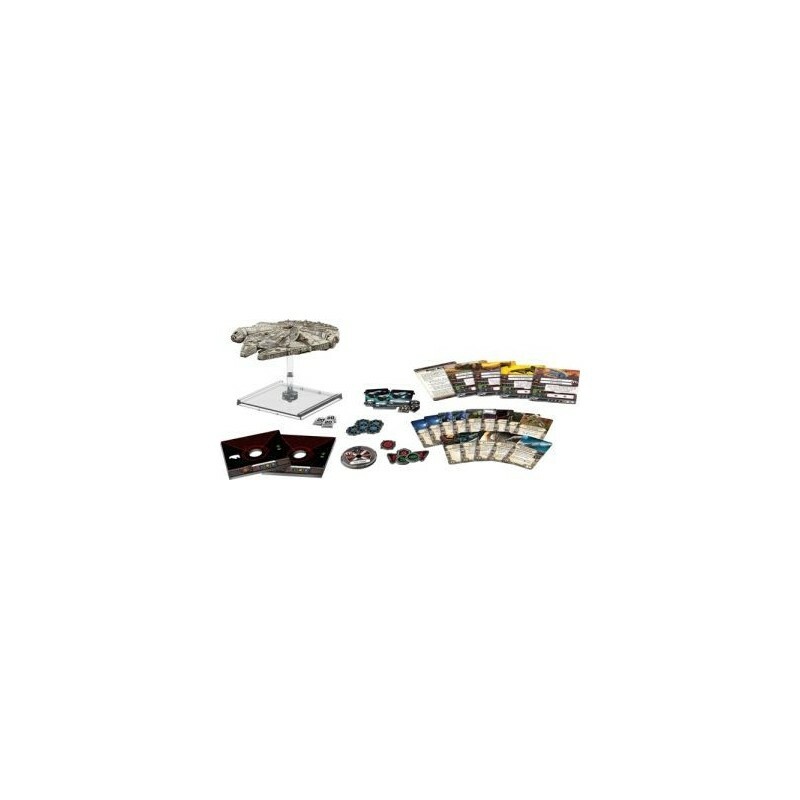 - 4 pilot cards (Han, Lando, Chewie and Outer Rim Smuggler). 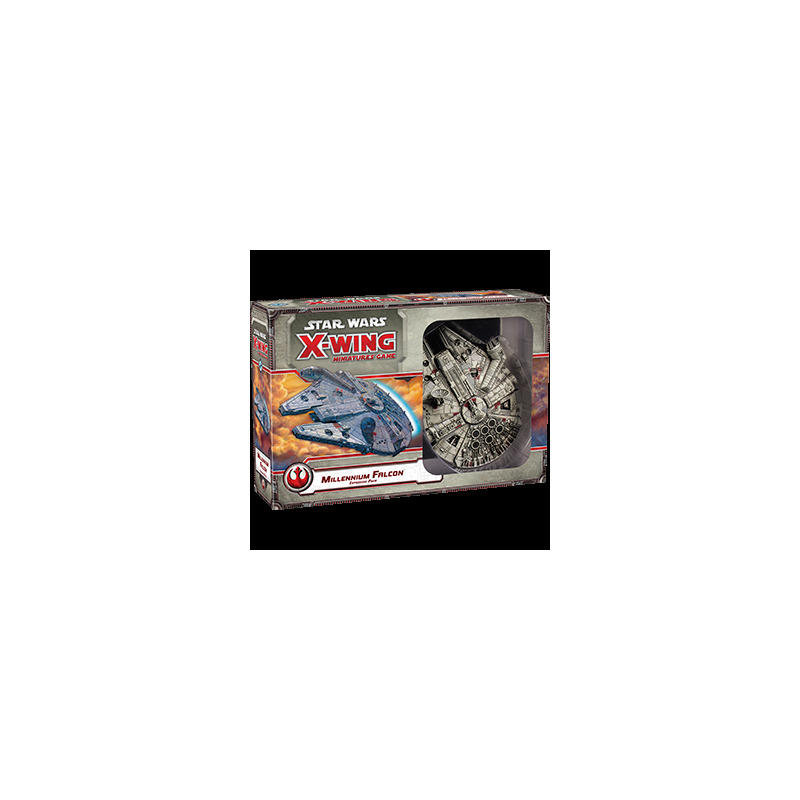 - New rules expand the X-Wing galaxy to include large ships and modifications. This product qualifies for free shipping to anywhere in the UK. By buying this product you can collect up to £ 0.25 with our loyalty program. Your cart will total £ 0.25 that can be converted into a voucher.